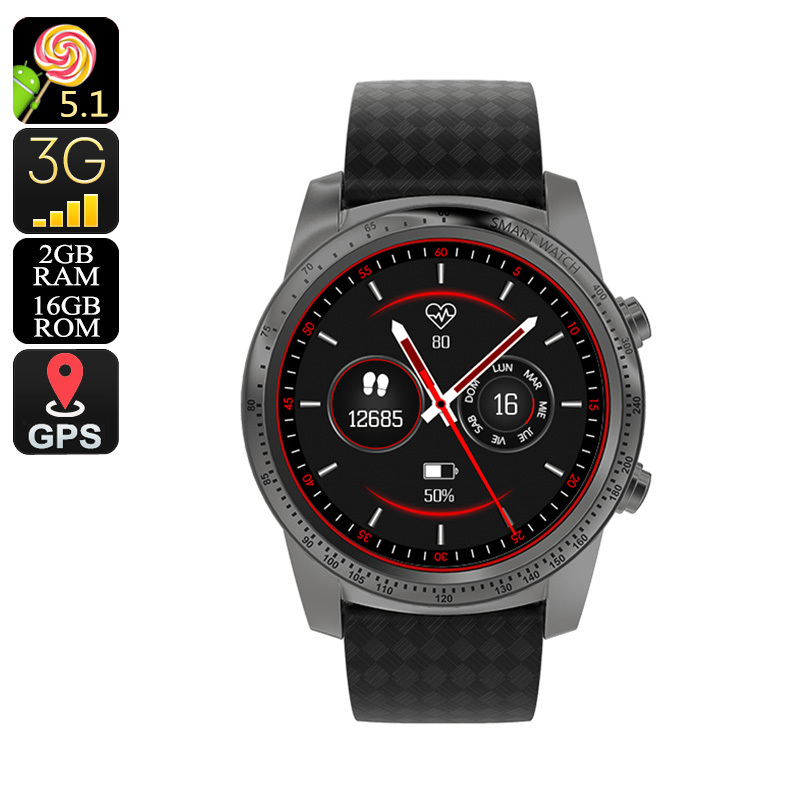 Successfully Added AllCall W1 Smart Watch Phone - Quad-Core CPU, 2GB RAM, 1 IMEI, Android OS, Bluetooth 4.0, WiFi, 3G, Pedometer (Grey) to your Shopping Cart. Experience the future of connectivity with the AllCall W1 smart phone watch. This stylish looking Bluetooth watch supports one IMEI number. Thanks to this, you’ll be able to slide in a SIM card and use it as if it’s a regular Android phone. With its Android OS, it lets you play games, make calls, enjoy Apps and even browse the web like any Android phone would. The latter is made possible by the watch’s WiFi and 3G support. With this Android watch phone at your wrist, you’ll always stay connected without needing to carry along your bulky phone. With its 400mAh battery, this smart watch phone brings along enough juice to enjoy 4 hours of continuous talk time and days’ worth of standby time. Therefore, you won’t have to constantly worry about running out of juice while enjoying all its Android features. A sophisticated Quad-Core processor and 2GB RAM let you tackle all basic Android Applications out there. To make sure you won’t run out of storage anytime soon, the Bluetooth watch supports 16GB ROM. Through Bluetooth 4.0, this phone watch is compatible with both iOS and Android phones. This means that you’ll even be able to use it without the need to insert a SIM card. When used with an Apple phone running on iOS 7.0 or above, the AllCall W1 lets you enjoy all the useful features of Siri. Additionally, this smart phone watch supports a number of health and fitness features such as a pedometer and heart rate monitor that support you to work towards a healthier future. This Bluetooth watch is great for anybody who wishes to enjoy increased connectivity on the go. Whether you wish to make calls, browse the web, or engage in Android Applications – nothing is too much for this Android phone watch. The AllCall W1 Android Watch Phone comes with a 12 months warranty, brought to you by the leader in electronic devices as well as wholesale smart watches..